When you first pass the Real Estate Licensing Exam in Massachusetts, your name is circulated throughout the different Real Estate Boards. As a result, you receive a lot of letters, phone calls, and emails from various offices, welcoming you to the industry and inviting you to meet with them. Then you start interviewing. You think about whats important to you as you embark on this career, your reasons for choosing to become a Realtor, and you hear a lot about what each of these organizations can offer you. So I went on the interviews. I talked about my background and experience, my expectations and aspirations.And I listened to some spiels. Being a (control freak) detail oriented person, I made my spreadsheet, my list of pros and cons, and I contacted my friend, June for some advice. June has been with Shanahan Real Estate Group in Winchester, as a broker associate and trainer since its inception. And she insisted I come in to speak with Nan Shanahan and the rest of her team. I encountered a workplace filled with passion, humor, teamwork, ideals, authenticity, expertise, and experience. Being with an independent firm was not the direction I had envisioned but after speaking with a few of the bigger names, then speaking with Shanahan, I couldnt envision myself anywhere else. I needed to be valued, to add my own talents and signature, to work as part of a team and grow something worthwhile. I needed to continue to learn and to be challenged. I wanted to work with the best. I signed on with Nan the next day. Fast forward to November of 2012. We were asked to become the first Better Homes and Gardens Real Estate office in Massachusetts. 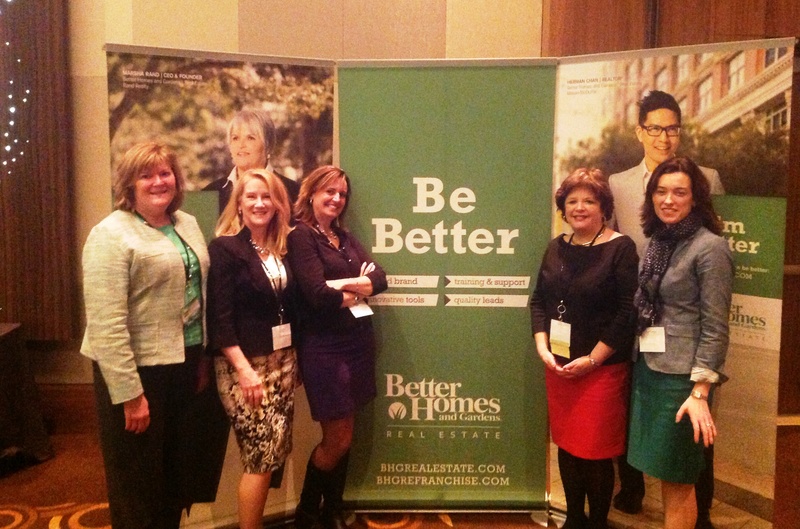 Better Homes and Gardens Real Estate (wisely) recognized the intrinsic value of our organization and Nan and our team (wisely) recognized the benefit of affiliating with such a dynamic, highly recognizable, tech-savvy brand. As realtors, hundreds of times, weve seen that look when a buyer takes their first steps into a house and they just know this is their home. For us, Better Homes and Gardens Real Estate is that home. They had us at hello. Its been a pretty wild ride these past few months with training, trips, and technology, technology, technology! Like any fulfilling relationship, they filled in gaps that we were missing and weve added our own distinctiveness to a company that truly values it. Shanahan Real Estate Group was so very good before. Partnered with this brand, Better Homes and Gardens The Shanahan Group is Better!